Monster High Social Spots Creepateria Accessory $7.12 + FREE Shipping with Prime! You are here: Home / Great Deals / Amazon Deals / Monster High Social Spots Creepateria Accessory $7.12 + FREE Shipping with Prime! Head over to Amazon and get the Monster High Social Spots Creepateria Accessory for just $7.12 (reg. $21.99). Shipping will be FREE with Amazon Prime or an order of $35 or more. 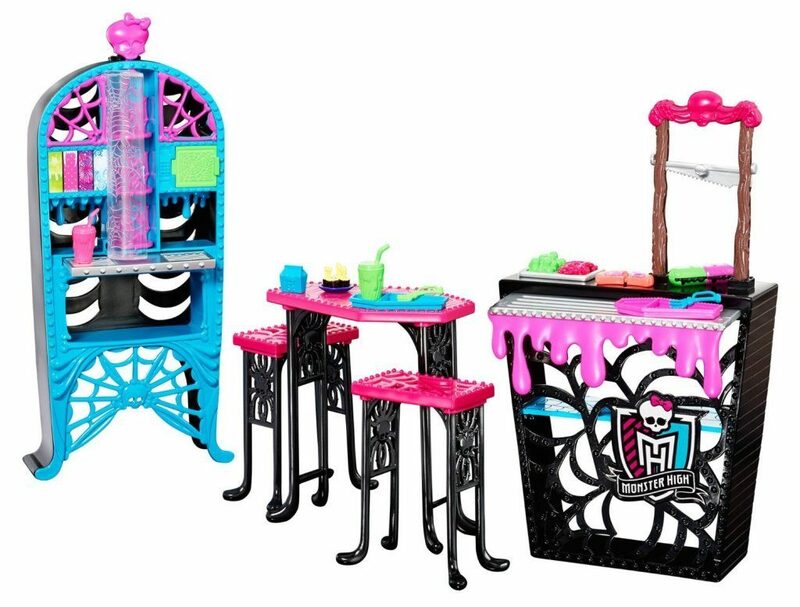 This Creepateria set lets girls play out favorite scenes from the Monster High webisodes! Fill a monster appetite with an order from food counter – with a working guillotine sandwich slicer!